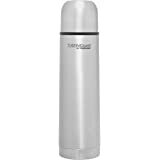 Thermos THERMOcafe Vacuum Insulated Bottle is made with vacuum insulation technology for maximum temperature retention. Keeps cool to the touch with hot liquids and sweat proof with cold. Durable stainless steel interior and exterior. 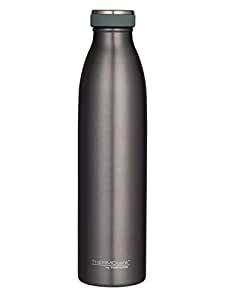 Comes with a screw top lid with rubber grip. 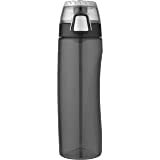 The sweat-proof design leaves no water rings on the container. 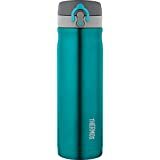 Capacity: 750ml. Available in the smoke colour.